Although February 14 already went by really fast, it still is the month of love, and so let's continue spreading love and sweetness all around us. 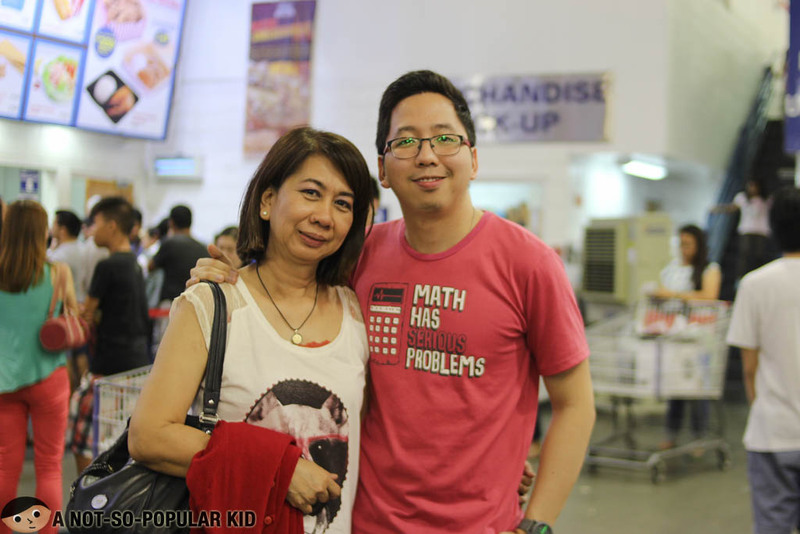 Here in this blog post, I'll be sharing with you some great finds that you may find useful in propagating that four-letter word and making relationships sweeter! 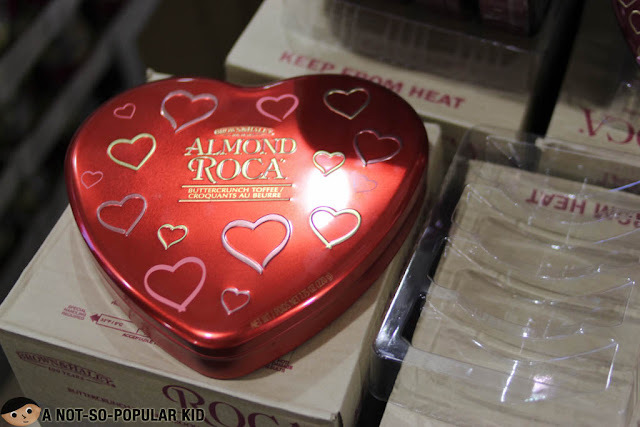 Let's start with making this world a sweeter place with the most common Valentine gift - chocolates! 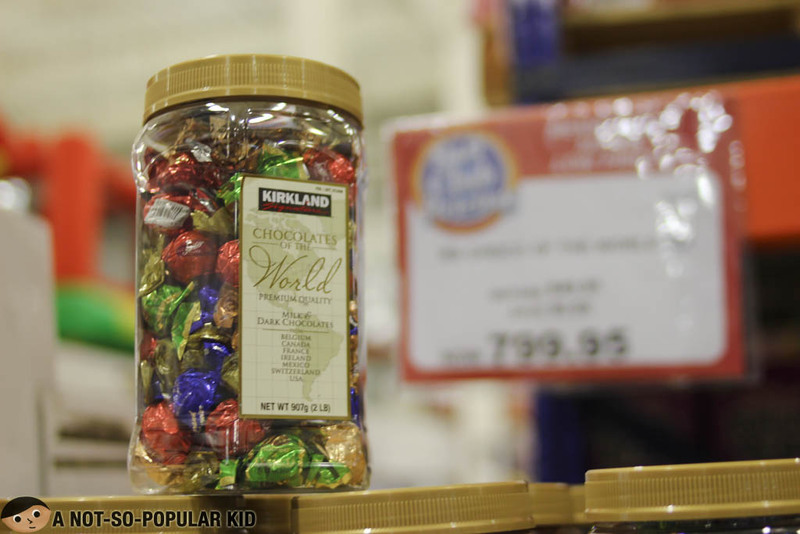 Now, the interesting thing is "not all sweets are created equal", so if you really want to give as many form of sweetness as possible, you may want to go for this assortment of Kirkland Chocolates of the World Jar (P799.95). Yes, for this month, they took away P50 (instead of P849.95) just to help spread sweetness. 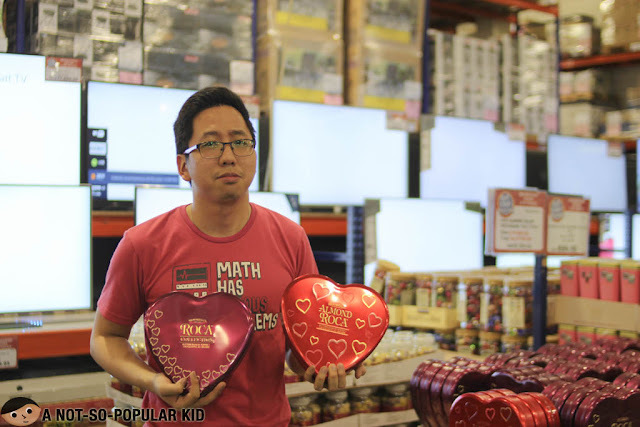 If you think the one whom you'll give chocolates to does not appreciate uncommon chocolate treats, you still have the option to provide an assortment of Hershey's Valentine's Assorted Cupid Mix (P449.95). 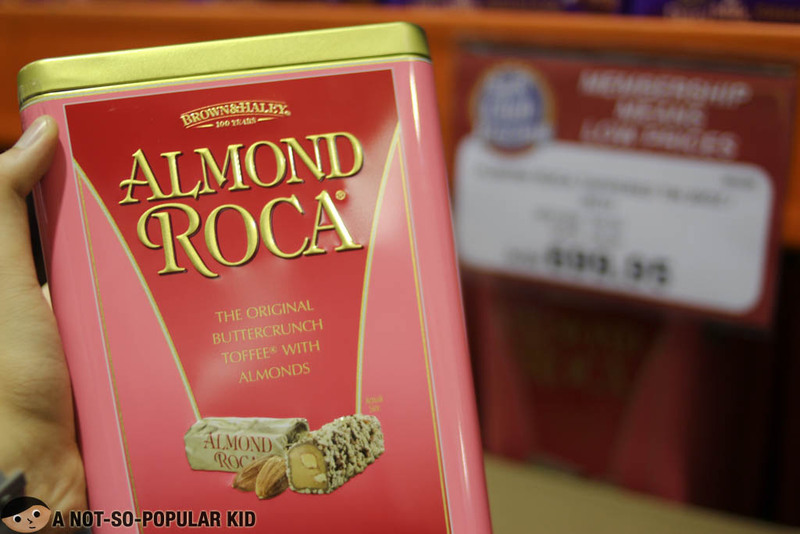 If you think your relationship is very much wacky and nuts, you may want to show that to your loved one/s by giving this Almond Roca Tapered Tin (P699.95). If you want to show both sweetness and love, you may want to upgrade by choosing this heart tin cans of Almon Rocca. 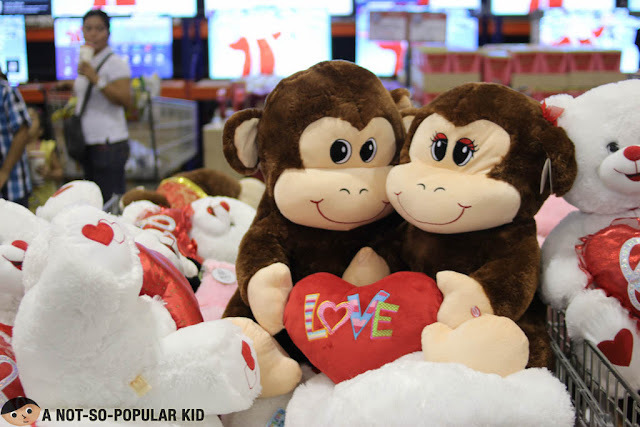 Right now, there is an ongoing promo for you to avail 2 of these for P799.90 each. 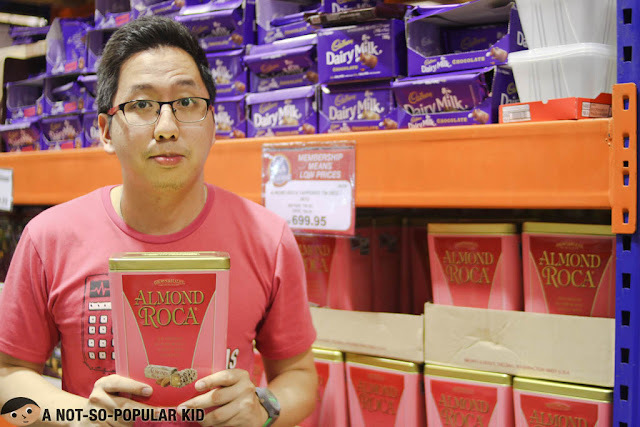 Here's a photo of me with this caption "Sana dalawa ang puso ko!". That's when I realized that I don't need a second heart, 'cuz the first one is still currently on a lookout. 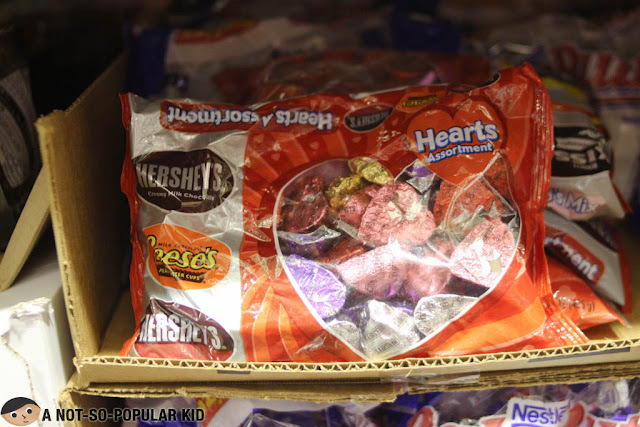 Alright, I know that not everyone appreciates chocolates, so if that's the case, you can shift to plan B and that is giving a stuff toy. 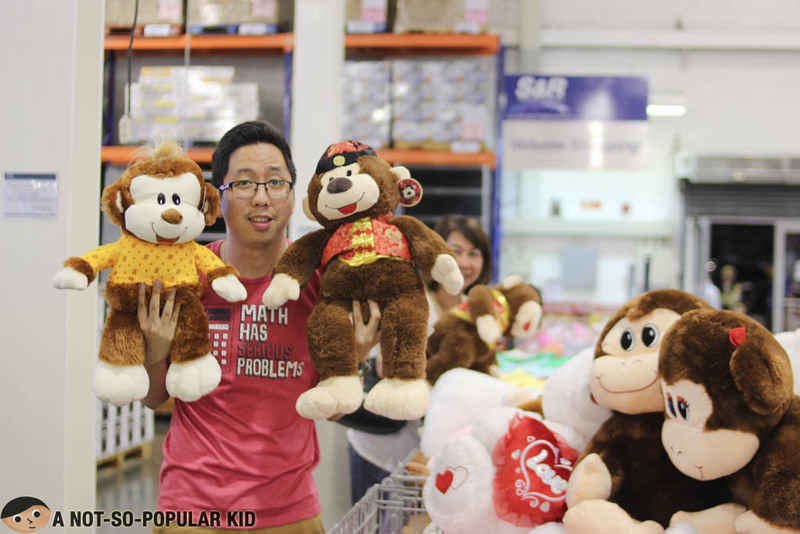 These plush toys start at P429.95. Now, why don't you check out this pair of adorable monkey plush toys. 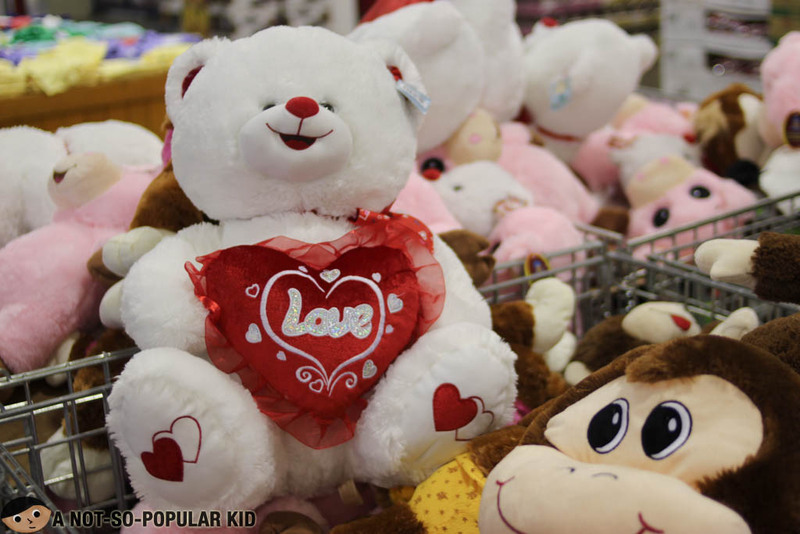 It really makes a cute gift for your special someone. Now, again, I know there are some people who prefers practical gifts -- something they can make use of. Hence, if you think your loved one belongs to this type, you may choose to give him/her this Mogu Hole Pillow (P999.95). 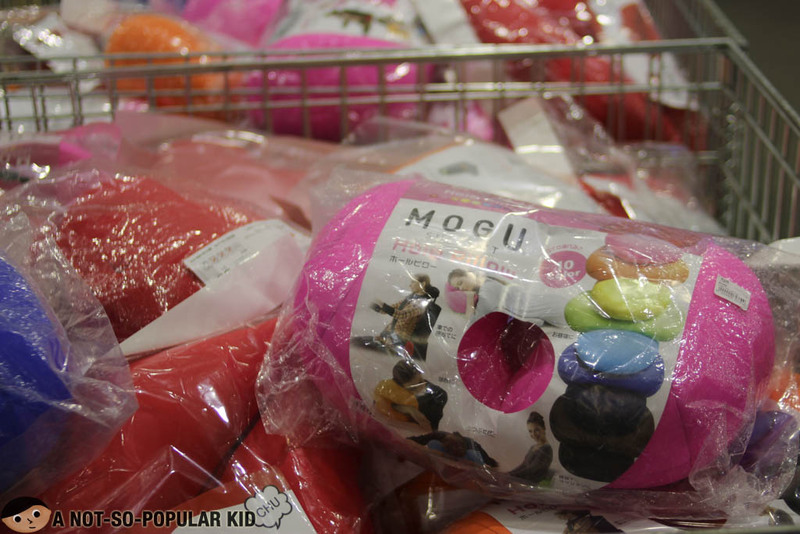 It's useful not only for travel but also in the office or at home. Actually, I took all of these photos on Valentine's Day itself, and as you may see, my date for the night was my mom (and the rest of the family). Well, application is ongoing, so you may want to send in your form. Kidding!